SUMMER MEMBERSHIP PLANS / AVAILABLE MAY 1 ADULT $230, JOINT $320, HOUSEHOLD STARTING AT $350 $30 EACH ADDITIONAL CHILD MEMBERSHIPS VALID MAY 18 – SEPTEMBER 8, 2019. POOL OPENS MAY 18. HURRY! SALE ENDS JUNE 10. ALL-YOU-CAN-MEET. Tables, chairs, AV equipment, and configurable space, all included. So you can meet off site, and stay on budget. ÂŠ2017 The Great Hall and Conference Center. Photography by Amy Hutchinson. go! GERMANTOWN is published by Creative Content by CMI, Subsidiary of Contemporary Media, Inc. / P.O. Box 1738, Memphis, TN 38101 in conjunction with the City of Germantown. For advertising information, call (901) 521-9000. © 2019. All rights reserved. Reproduction in whole or in part of any of the materials contained herein without the express written consent of Creative Content by CMI is prohibited. For more information, go to contemporarymedia.com. For additional copies, contact the City of Germantown at (901) 757-7200 or Communications@Germantown-TN.gov. Like Mother, Like Daughter For the Faught family, attending Germantown’s summer camp is a must. Page 12 Bringing Nature Back (Yeah) Hang out with Natural Resources Manager Keith Paluso and you’ll learn what’s in store for the city’s parks. Page 16 Farm Life, Suburban Style Bobby Lanier Farm Park focuses on sustainable living. Page 19 Summer’s Coming — See You at Camp GTOWN! Dear neighbors, There is no excuse for boredom in our community. Your City produces a wide variety of exciting events that the whole family is sure to enjoy, and the countdown to another lively summer is already underway. Start the summer off by visiting one of Germantown’s hidden gems - the Bobby Lanier Farm Park. You can experience the Farm Park in full bloom during our first May Day celebration and help welcome the warm months to come. In June, dust off your lawn chairs and picnic blankets and join your nationally accredited Parks and Recreation department every Tuesday at Municipal Park for Groovin’, Grillin’ and Reelin’. In July, celebrate Independence Day with our spectacular Firework Extravaganza, a festival that culminates with a truly outstanding fireworks display. End the summer on a high note, peddling away at the family-friendly Night Rider or competing in the ultimate pint-sized competition, the Small Fry Triathlon. Looking to take a staycation this summer? What better adventure than getting outside and exploring any of our city’s 29 community parks. As you’ll learn in the pages to come, your City takes pride in its parks and recreation system. 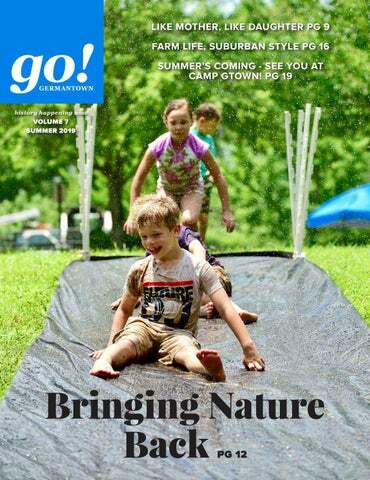 You’ll read about one Germantown family’s connection to the parks and recreation summer camp, how City park rangers are revitalizing environmental education for the modern age and how the Parks and Recreation department is bringing back the old-school summer camp feel with Camp Gtown. In 2018, your elected officials approved a Comprehensive Parks and Recreation Master Plan that outlines a systematic approach to making improvements within our parks and filling recreational gaps for a better future. The plan was an eight-month effort with broad based community input and public engagement being at the forefront of the process. Comments, suggestions or questions about City services? We’re ready to answer the call! Reach our friendly Customer Service Specialists at 757-7200 or at CustomerService@Germantown-TN.gov. Our communications staff works hard to put together this publication and would love to hear your feedback at 757-7202 or Communications@Germantown-TN.gov. As always, you are welcome to contact me directly at Mayor@Germantown-TN.gov or at 757-7201. I look forward to seeing you out and about in the community this summer. camps across the City for a day of friendly competition. “My brother, sister and I would always win those competitions,” she notes proudly. “I know we’ve still got some of those awards somewhere in my mom’s house!” For the camp talent shows, Faught remembers performing a version of Happy Days, with her siblings, playing a different day of the week, and they acted as the Brady Bunch for another show. “I was 7 or 8 at the time, but it was so much fun,” she says with a laugh. In her teen years, Faught worked as a summer camp counselor at the Houston Levee location. Some of the friendships she formed during that time continue on today. Camp today When Faught’s own daughter, Kaylee, turned 6 last year, she couldn’t wait to enroll her in Camp GTOWN, so she could begin making special memories of her own. Kaylee attended her first two-week camp session last summer and loved it as much as her mom did. She was most proud of learning how to make rubber band bracelets and enjoyed an array of arts and crafts activities. A photo of her daughter having fun captured the essence of the program and made it onto the City’s Instagram feed. What Katie finds exciting is how Germantown’s Parks and Recreation department is transitioning the camp program back to something akin to what she experienced as a kid — low-tech, nature-focused fun. Learn from talented faculty and coaches. Special rates! Visit our website to learn more. Here is more than a place. Itâ&#x20AC;&#x2122;s where your home is customized for your lifestyle. Itâ&#x20AC;&#x2122;s where Nancy Engelberg and her golden retriever, Giselle, call home. Here is where she finds peace of mind for her future while continuing to live authentically. Talk to us about getting here. HEY KIDS! WANT TO BECOME A JUNIOR RANGER? Junior Ranger Day Saturday, July 27, 9 a.m. to noon Bobby Lanier Farm Park, 2730 Cross Country Drive Ages: 8 to 13 years Did you know that World Ranger Day is July 31 every year? Get ready for a day of remembrance for the brave people that protect the most treasured places in the world and join Park Ranger Keith Paluso to become a Germantown Junior Ranger! Meet at the Bobby Lanier Farm Park for a day of activities learning all about plants and animals, natural resource management, first aid and emergency preparedness, then receive a Junior Ranger badge and become an official Germantown Junior Ranger. For more information, contact Natural Resources Manager Keith Paluso at KPaluso@Germantown-TN.gov or 751-7639. SIGN UP FOR ONE OF THESE OUTDOORS ADVENTURES AND GET OUT THERE! Backpacking Trip at Mousetail Landing State Park Saturday and Sunday, May 18 and 19 Saturday and Sunday, October 19 and 20 Cost: $50 per person (includes transportation) Ready to take the next step in your backpacking adventures, meet new people and tackle the rugged backcountry as part of a group? Join Germantown Parks and Recreation staff for an adventurous trip along the eightmile Eagle Point Loop trail at Mousetail Landing State Park in Perry County, TN. We’ll gaze across the Tennessee River from fossil-encrusted clifftops, meander through ancient cedar glades and slip quietly through long-abandoned homesteads, where early families carved their history into the land itself. This hike will be in very rugged terrain with no cell phone service. This trip is intended for experienced novice to intermediate-level overnight backpackers. Registrants must attend a backpacking gear prep meeting prior to the scheduled trip. Neither food nor equipment will be provided. Register online at Germantown-TN.gov/ Registration. National Trails Day Hike Saturday, June 1, 9:30 to 11 a.m. Riverwoods State Natural Area Wolf River Boulevard at Kimbrough Road Ages: 5 years and up Join Ranger Keith for an adventurous nature hike to celebrate National Trails Day. Meet in the Wolf River Nature Area parking lot and begin on the Wolf River Greenway to access Riverwoods State Natural Area. Learn about the plants and animals that call Riverwoods home, how we can enjoy observing them and what we can do to ensure their preservation for future generations. This hike will begin on pavement, but will mostly involve walking through woodland area on naturalized trail. Sturdy shoes, drinking water and bug spray are recommended. For more information, contact Natural Resources Manager Keith Paluso at KPaluso@ Germantown-TN.gov or 751-7639. Youth Spring Fishing Clinic Saturday June 8, 9 to 11 a.m. Pavilion at Johnson Road Park, 2970 Johnson Road Ages: 7 to 12 years Join the Park Rangers to meet in nature and learn about fishing. Topics for discussion include safety, knot tying, baits, types of equipment and casting. Fishing for bluegills and bass will take place at the ponds. It is recommended that participants bring a rod and reel, a hat, sunscreen, sunglasses and drinking water. Equipment may be provided if the child does not have fishing gear. The clinic is hosted by Jack Betchick. For details or to register, contact the Parks and Recreation office at 757-7375. Morning Bird Walk Saturday, June 22, 8 to 9:30 a.m. Saturday, July 20, 8 to 9:30 a.m. Wolf River Nature Area - YEP Pond Parking Lot, 7014 Wolf River Boulevard Ages: 13 years and up Want to learn about the birds that spend the summer here in Germantown? Join Ranger Keith for a morning birding walk along the Wolf River Greenway. Sturdy shoes, drinking water, binoculars and bug spray are recommended. For more information, contact Natural Resources Manager Keith Paluso at KPaluso@ Germantown-TN.gov or 751-7639. Frog Watch Night Hike Friday, May 31, 8:30 to 9:30 p.m. Friday, June 21, 8:30 to 9:30 p.m. Friday, July 19, 8:30 to 9:30 p.m. Wolf River Nature Area - YEP Pond Parking Lot, 7014 Wolf River Boulevard Ages: 5 years and up Do you know all the types of owls that live along the Wolf River? Have you learned the calls of the frogs that live in our area? Come on a midsummer night hike with Ranger Keith, and learn all about the special nighttime animals that share the Wolf River Natural Area with us. This hike will be on paved greenway trail. Sturdy shoes, drinking water, a flashlight or headlamp and bug spray are recommended. For more information, contact Natural Resources Manager Keith Paluso at KPaluso@ Germantown-TN.gov or 751-7639. Run With a Ranger Begins August 19 Continues on Mondays, Wednesdays and Fridays at 7 a.m. Wolf River Nature Area, 8040 Wolf River Boulevard Ages: 13 years and up Want to start running and/or exercising, but don’t have any running buddies? Germantown Park Rangers are here to help! Join us on the Wolf River Greenway to get motivated and moving. For beginners, we will be using a program similar to Couch to 5K. Already a blazing fast runner? Come for some fellowship and meet new people in your community in a beautiful natural setting. Walkers and strollers are welcome. For more information, contact Natural Resources Manager Keith Paluso at KPaluso@Germantown-TN.gov or 751-7639. GERMANTOWN Historic Church Love yesterday, today and forever. Listed on the National Register of Historic Places, the Germantown Historic Church is the perfect venue to celebrate the love of a lifetime. Built in 1870 and lovingly restored, the church features original hard river pine floors, vintage pew seating, and picturesque double front doors. Celebrate your union by ringing the historic bell, made by the same London foundry that cast the Liberty Bell. When added to your fitness regimen. © 2019 Smoothie King Franchises, Inc. Creating a comprehensive plan for the parks Take a ride with Paluso, Germantown’s Natural Resources Manager and you’ll gain a new appreciation for the City’s parkland. He sees past the obvious lushness of greenery to note more specific details: the health of an oak tree whose roots are exposed, invasive plants like multiflora rose and Chinese privet that need pulling, the call of a Carolina wren as it sings from the branch of a dogwood tree. Now he has set his sights on creating a comprehensive plan for assessing Germantown’s park system while actively boosting the department’s environmental education offerings. His hope is that residents will come to share his passion and appreciation for the green spaces that add to Germantown’s excellent quality of life. We took a brief tour of several City parks one February morning with Paluso and his colleague, Park Ranger Naturalist Lindsay Dolan. On Paluso's list of pet projects is Oaklawn Gardens Arboretum on Poplar Pike. This six-acre park is currently a Level I arboretum. The department recently received a grant to purchase more trees and will be planting a number of new species this spring as they work toward becoming a Level II arboretum in May. The master plan includes adding flower farming and a greenhouse since Oaklawn operated as a commercial flower farm and nursery for nearly 50 years. The parcel was given to the City by owners Harry and Becky Cloyes in 2015. The Outdoor Adventure Series gives you an opportunity to hike and paddle while learning more about West Tennessee’s wildlife and history. In addition to hosting local hikes, several outings will venture further afield with overnight backpacking trips to Mousetail Landing and kayak trips down the Ghost River. Paluso looks forward to sharing his knowledge, since he worked as a park ranger for the Tennessee State Parks for more than a decade, serving at Mousetail Landing, Davy Crockett State Park and Reelfoot Lake State Park. While Oaklawn may be a favorite project, like any good naturalist, Paluso has a number of favorites. High on his agenda is creating an all-taxa biodiversity index, which would catalog all of the flora and fauna found within the parks. To help with this sizable endeavor, Paluso set up the citizen science app iNaturalist for the city a year ago as a way for park users to identify the living things they encounter during park visits. Since then, Paluso was surprised to find more than 13,000 posts had been entered by users. No stranger to the parks system Tackling such sizable projects might sound daunting, but this ranger brings solid experience to the job. Originally from Atoka, Tennessee, Keith was big into Boy Scouts as a kid, eventually earning the Eagle Scout rank. His love of the outdoors led to summer jobs with the Tennessee State Parks as a teen and later, to a degree in biology (with a concentration in ecology and environmental biology) from UT Martin in 2012. He worked as a naturalist at Reelfoot Lake for three years while completing his college research and his resulting taxonomic survey of Reelfoot’s reptile and amphibian population became the first published academic work pertaining to the park’s herpetofaunal inventory since the 1930s. Paluso took a break from his ranger duties last year to celebrate the arrival of his first child with wife, Bethany. He also decided to pursue his music and auditioned for The Voice. He traveled to Los Angeles to tape the show, beating out 40,000 other entrants to make it into the top 24 before being voted off the show. “Performing on The Voice was fun, but it’s more challenging and satisfying doing what I do here with the natural resources division,” says Paluso. PA S S I O N AT E A B O U T P E O P L E , PA R T I C U L A R A B O U T T E E T H. We prioritize respectful, empathetic care for our patients, and equip our team with the latest techniques and technology to ensure you have the best possible experience. With three locations to serve you, we offer preventative, cosmetic, and restorative dentistry for you and your family. f you ever feel the need to pet a goat or buy fresh tomatoes, you can do that and more at the Bobby Lanier Farm Park. There aren’t many cities that can claim having a farm as part of their parks and recreation offerings but that’s something Germantown has developed over the past eight years. seed. It’s so much easier. You don’t need room in a hothouse, you just wait for the ground to get warm enough,” says Terry. “We’ve been doing it for four years now and the plants do wonderfully.” Last year, planting on just one-sixteenth of an acre of land yielded more than 13,000 pounds of produce. Members, who work twohour shifts each week in exchange for a portion of the harvest, grow almost every vegetable familiar to the Mid-South. Here you’ll find tomatoes, cabbage, onions, carrots, kohlrabi (a form of cabbage), corn, rutabaga and turnips, squash, melons, pumpkins, sweet peas, sunflowers and zinnias. This year, Terry says, they plan to increase the garden plot by another quarter-acre and create four additional gardens. In his mind, the community gardens are a win/win. “You’re outside for starters,” he notes. “I’ve got people in their 80s who garden but no one works too hard. I think getting into soil is a natural antidepressant and the sharing of ideas provides a great exchange for gardeners.” Last fall, Terry took the next step in the farm’s evolution by purchasing goats. The farm also maintains a flock of 38 chickens, a mix of black Australorps, Rhode Island Reds and Plymouth Rocks. All three breeds are known for being good layers and are easy to handle. Farm Park Farmers’ Market Thursdays, June 13 to August 30 (closed July 4), 4 to 7:30 p.m. C.O. Franklin Park, 7725 Poplar Pike We've moved. Join a Thursday summertime tradition! Committed to good health and sustainable lifestyles, the farmers’ market features fresh locally grown fruits and vegetables, a wide variety of value-added products and fresh-cut flowers. The family-friendly atmosphere makes it the place to be on Thursday evenings. Enjoy music, local art, delicious and healthy foods from food truck vendors, children’s activities and cooking demonstrations in a beautiful and relaxing park setting. Whether you come to shop for your weekly produce, pick up your CSA or spend an evening of quality time with family and friends at the park, the Farm Park Farmers’ Market has something for you. For more information contact Joni Roberts at (901) 498-8684 or JRoberts@Germantown-TN.gov. C.O. Franklin Park. The booth fees paid by the farmers help fund the Farm Park. In addition to providing you the opportunity to buy goods from Pick Tennessee vendors, the farm partners with community theatre groups and schools to provide entertainment. Program and Outreach Coordinator Joni Roberts says they’ll also be offering a summer cooking series featuring people like local grill master Greg Clawson. Germantown SALES GALLERY NOW OPEN! May Day at the Farm Saturday, May 4, 2 to 6 p.m. Bobby Lanier Farm Park, 2660 Cross Country Drive Celebrate a time of first fruits, flowers and festivities to welcome new life and the warm months to come. The event includes blessing of the crops, flower garland weaving, maypole and archery activities, face painting, floral workshops, a bonfire and more. For more information, contact Joni Roberts at 498-8684 or JRoberts@Germantown-TN.gov. “These games teach leadership skills and get kids thinking about how they interact with each other,” says Kassner. and develop other strengths. Forbert says they plan to have a nature day each week, tapping the skills of Natural Resources Manager Keith Paluso. In addition to talking about environmental conservation, Paluso will also teach campers how to tie knots, build a campfire and identify the animals, birds and reptiles that call our City parks home. Camps will run in two-week sessions from 9 a.m. to 3 p.m. daily starting on June 3. Parents are asked to send campers with a sack lunch each day. Camp GTOWN will provide snacks and water, as well as lunch on Fridays. Special Events and Marketing Coordinator Will Kassner will lead the team-building activities, using outdoor surroundings as a jumping-off point. For example, a low ropes challenge course is built with bungee cords wrapped around several tree trunks. The ropes are then woven together to create a web and campers must help each other get through the course without touching the ropes, an activity that promotes gross motor skills, but also adds something more. In addition to activities on-site, kids will enjoy field trips to destinations like Shelby Farms Park, Incredible Pizza, Pump It Up and Germantown’s Bobby Lanier Farm Park. Last year, those outings were well received. In fact, Camp GTOWN was such a hit that many parents signed up their child for multiple sessions. Our newest store is open 9 a.m.- 8 p.m. Monday thru Saturday and 11 a.m.- 6 p.m. Sunday. Browse a spacious 14,000 square feet of treasures, or drop oﬀ your donations at the convenient covered drive-thru any time 8 a.m.- 8 p.m. Monday thru Saturday or 11 a.m.- 6 p.m. Sunday. You'll ﬁnd the great Goodwill bargains you love in a new store that's bigger, brighter and brimming with plenty of convenient parking. and more. For more information, contact Joni Roberts at 498-8684 or JRoberts@Germantown-TN.gov. Touch-a-Truck Saturday, May 11, 10 a.m. to 12 p.m. Germantown Community Library, 1925 Exeter Road Touch, climb, explore and take pictures with unique and spectacular vehicles! Concessions will be sold. For more information, call 757-7323 or email ChildrensDesk@GermantownTN.gov. No rain date. Look for the Healthy Germantown heart throughout the event listings to find opportunities designed to help you move more and make healthy food choices. a wide variety of value-added products and fresh-cut flowers. The family friendly atmosphere makes it the place to be on Thursday evenings. Enjoy music, local art, delicious and healthy foods from food truck vendors, children’s activities and cooking demonstrations in a beautiful and relaxing park setting. Whether you come to shop for your weekly produce, pick up your CSA or spend an evening of quality time with family and friends at the park, the Farm Park Farmers’ Market has something for you. For more information, contact Joni Roberts at 498-8684 or JRoberts@ Germantown-TN.gov. Healthy Germantown Warrior Challenge Saturday, June 15, 7 to 10 p.m. Bob Hailey Athletic Complex, 8750 Farmington Boulevard Ages: 6 to 12 years Fee: $15 per person Are you up for the challenge? Test your skills on an extreme warrior obstacle course. Prizes will be awarded for the best times in each age group. Register online at Germantown-TN.gov/ Registration. Sponsored by Healthy Germantown. Lions Club Fishing Rodeo Thursday, July 4, 9 to 11 a.m. Municipal Park Lake, 1900 S. Germantown Road Ages: 4 to 15 years Bring a fishing pole, tackle and bait and try to hook the big one. Donations are gratefully accepted. Proceeds benefit the Germantown Lions Club. Find out if weight loss surgery is right for you. Attend a free seminar. Fireworks Extravaganza Thursday, July 4 Fun and food begin at 5 p.m., fireworks at 9:10 p.m. Municipal Park, Exeter Road Celebrate the nation’s birthday with live music, moon bounces, games, crafts, refreshments and a spectacular fireworks display. Home Run Derby Festival Saturday, July 20, 4 to 9 p.m. “Sandlot” Pickup Games: 4 to 9 p.m. Exhibition Derby, Ages 5 to 12: 6 to 9 p.m. Ages 12 to 15: 6 to 7 p.m. (softball and baseball) Ages 16 to 18: 7 to 8 p.m. (softball and baseball) Ages 18 and up: 8 to 9:30 p.m. (softball) Fee: $5 fee for derby participants 12 and up Cameron Brown Park, 8628 Farmington Boulevard Test your skills as champions of all ages compete in the 2019 Home Run Derby! An evening of fun and excitement for all ages, the event features food trucks, music, sandlot-style games and much more! Register online at Germantown-TN.gov/Registration. Night Rider Family Bike Ride Saturday, August 10 Cameron Brown Park, 8628 Farmington Boulevard Games and festivities begin at 6:30 p.m., ride at 8:15; food, ice cream and music to follow Fee: $10, T-shirt guaranteed for those who register by July 30 Come early for fun and games! The route is approximately three miles, bring a decorated bicycle or tricycle. Glow in the dark bike gear and flashing lights are encouraged, a size-appropriate helmet is required. Germantown Police will assist with the ride. Register online at Germantown-TN.gov/Registration. Packet pick-up takes place at the Parks and Recreation office on August 8 and 9. The event is co-hosted by City of Germantown and the Germantown Area Chamber of Commerce. The rain date is August 17. Taste of The Town Saturday, August 24, 6:30 to 9:30 p.m. The Great Hall & Conference Center, 1900 South Germantown Road Tickets: $75 Age: 21 and up Join the Germantown Chamber for the area’s premier social and culinary tasting event. Sample mouth-watering cuisine, desserts, wine and craft beer from some of the area’s ﬁnest restaurants and caterers while you bid in our silent auction. The evening ends with an action-packed live auction. Purchase tickets online at GermantownChamber.com/Events or at the Germantown Chamber of Commerce oﬃce, 2195 South Germantown Road. For more information, call 755-1200. Parks and Recreation office September 13 and 14. No event day registration. The event is sponsored by Campbell Clinic. Rain date is September 22. Register beginning August 1, online at Germantown-TN.gov/Registration or weekdays, 8 a.m. to 5 p.m., at the Parks and Recreation office, 2276 West Street. 50+ GROUP Retirees and working adults can join in the fun with the Germantown 50+ Group. All activities take place at the Pickering Center, 7771 Poplar Pike, unless otherwise noted. Register for all technology classes at the Parks and Recreation office, 2276 West Street, weekdays, 8 a.m. to 5 p.m. Acceptable payment methods include credit card or check payable to City of Germantown. No cash is accepted. For information, contact Regina Allen at 751-5656 or Regina@Germantown-TN.gov. REGULARLY SCHEDULED ACTIVITIES Mixed Media Artists Mondays, 9 a.m. to 12:30 p.m. Fee: $10 punch card for five sessions Bring lunch and enjoy non-instructional stamping and art time. Line Dance USA Mondays, 1:30 p.m. to 3 p.m. Fee: $10 punch card for five sessions Improve coordination, memory and energy level. Learning a variety of country and western, soul and Latin line dances is easy and fun. Beginner dances are taught during the first hour. Intermediate dances are taught the last half-hour. Potluck and Bingo First Tuesday of each month Fee: $1, a gift worth $1 and a main dish or dessert Additional prizes will be offered. Social Bridge Tuesdays, 9:30 a.m. to 2 p.m. Fee: $10 punch card for five sessions Bring lunch. A partner is not necessary. Let’s Do Lunch Wednesday, June 19, 11:30 a.m. The Capital Grille, 6065 Poplar Avenue Fee: $22 (Includes lunch, tax and tip) Meet, greet and socialize with other older adults during this quarterly event. Register at the Parks and Recreation office, 2276 West Street. I’ve always been drawn to the idea of healing people. By choosing Baptist College, I now have infinite possibilities from nursing to radiography to pre-med. Baptist College offers tomorrow’s health care leaders a chance to fulfill a lifelong calling. Please visit bchs.edu/MyCalling and find the career that’s right for you. LEARNING WITH THE TECHNOLOGY COACH Tuesdays and Thursdays Parks and Recreation office, 2276 West Street Fee: $25 per four class session Bring your device, Apple ID and password to class. No experience is required. Register early, space is limited. Register at the Parks and Recreation office, 2276 West Street, Monday through Friday, 8 a.m. to 5 p.m. Acceptable methods of payment include credit card or check made payable to City of Germantown. No cash accepted in the office. iPhone Photography iOS 12 Session I: June 18, 20, 25, 27, 9:30 to 11:30 a.m. Session II: August 6, 8, 13, 15, 9:30 to 11:30 a.m. Make the most of your iPhone’s camera. Take still photos, record regular and slow-motion video, take panoramic shots and more. This class covers camera and photo settings and operation; use of wide-angle and telephoto lenses, editing techniques, photo organization and creating albums and slideshows. iPhone Basics, iOS 12 Tuesdays and Thursdays Session I: May 28, 30, June 4, 6, 9:30 to 11:30 a.m. Session II: July 9, 11, 16 and 18, 12:30 to 2:30 p.m. Have a new iPhone and want to maximize your productivity? Receive hands-on instruction with this class. 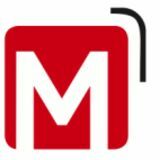 Learn how to use the App Store, manage email, take and organize photos, send photos via text, use FaceTime, organize and maintain your iPhone and more. Elvis Presley Birthplace in Tupelo Tuesday, May 21 Fee: $30 transportation The trip departs from Germantown Athletic Club, 1801 Exeter, at 8:30 a.m. The Walk of Life Tour starts at the Visitor’s Center followed by Elvis’ birthplace, childhood church, memorial chapel, Fountain of Life and museum. Travelers pay the $14 admission and purchase their own lunch. iPad Basics, iOS 12 Tuesdays and Thursdays Session I: May 28, 30, June 4, 6, 12:30 to 2:30 p.m. Session II: July 9, 11, 16 and 18, 9:30 to 11:30 a.m. Bought an iPad, now what? Take this hands-on-class to learn how to get the most from your new device. iPad Basics includes device navigation, photo management, using your camera, using FaceTime, using the App Store and much more. Lancaster Show Trip and the Dutch Country June 2 through 8 $669 double occupancy, $894 single $75 deposit upon registration The trip fee includes six nights lodging, transportation and 10 meals. Admission to the JESUS show at the Sight and Sound Theatre, OVATION show at the American Music Theatre, the Amish Experience and guided tours of Lancaster and Philadelphia are also included. SPECIAL RECREATION Special Recreation activities are free for those with intellectual or physical challenges, their friends and family. Space is limited. For more information or to register, contact Michelle Forbert at 751-7638 or MForbert@Germantown-TN.gov. Smashing Aces Tennis Program Wednesdays, May 1 to 29, 9 to 10 a.m. Germantown Municipal Courts, 1910 South Germantown Road Receive basic instruction in stand-up and wheelchair tennis from skilled tennis instructors. The program covers the basic tennis skills using adapted equipment such as smaller racquets and low compression tennis balls. Registration is required. Bingo! Thursdays, May 2, June 6 and August 8, 5:30 to 7 p.m. Bobby Lanier Farm Park, 2660 Cross Country Drive Play Bingo and enjoy light refreshments. Registration is required. Flower Arranging Thursday, May 9, 4 p.m. Pickering Center, 7771 Poplar Pike Make a beautiful flower arrangement with help from the Germantown Garden Club. Registration is required. Space is limited. Spring Formal Friday, May 10, 7 to 9 p.m. The Great Hall & Conference Center, 1900 S. Germantown Road Come dressed to impress. Enjoy a wonderful evening of music, dancing, pizza, light appetizers and soft drinks. Bowling is a Ball Tuesdays, May 21, June 18, July 16 and August 20, 3:30 to 5 p.m. Cordova Bowling Center, 7945 Club Center Drive Registration is required. Steven J. Fuson, D.D.S., M.S. John A. Acosta, D.D.S. Nathaniel Denson, D.D.S., M.D.S. Toddrick Smith, D.D.S. Clayton Floriani, D.D.S. Adam Fitzhugh, D.D.S. Taylor Collazo, D.D.S., M.S. Gregg Bouldien, D.D.S., M.S.D. Impressions-Free scanning with iTero® No Goop. No Gagging. BOBBY LANIER FARM PARK Câ&#x20AC;&#x2122;MON OUT TO THE FARM PARK! The Bobby Lanier Farm Park is a 10-acre education and demonstration center for sustainable living through agriculture and stewardship. Programs and events are free unless otherwise noted. For more information, visit thefarmpark.org or contact Joni Roberts at 498-8684 or JRoberts@Germantown-TN.gov. LOCATION The Farm Park driveway is located at 2660 Cross Country Drive â&#x20AC;&#x201C; turn east on Stout Road from Germantown Road. Public parking is available at the Cloyes Soccer Fields. Overflow parking is available behind the Fire Station and adjacent to Germantown Elementary School. FARM PARK HOURS The Farm Park is open to pedestrians from dawn to dusk unless reserved for a special event or during inclement weather. Farm Park gardens, barns, special amenities and restrooms are accessible during the morning hours from mid-March through November when staff is on-site and/or when programs, tours and field trips are scheduled. FARM HANDS NEEDED Farm Park volunteers are lovingly referred to as Farm Hands. While they aren’t necessarily farmers, they work with farm related events. Supporting farmers and artisans at the Farmers’ Market, educating the community through field trips and programming are just a few ways the Hands promote sustainable living. A variety of volunteer opportunities are available for adults and service groups. For more information, contact Joni Roberts at 498-8684 or JRoberts@Germantown-TN.gov. FIELD TRIPS AND GROUP PROGRAMS May to August, by reservation only Teachers and group leaders for groups of all ages and interests are invited to coordinate special group outings or educational programs with Farm Park program coordinators. Staff offer onsite and outreach programs specifically designed to meet the needs and interests of any group. Groups must be scheduled in advance and have a minimum of 10 participants. HARVEST MOON PAVILION RENTALS A centerpiece to the 10-acre working farm, the Harvest Moon Pavilion is an ideal event setting suitable for business meetings, retreats, training sessions, working lunches, weddings, receptions, banquets, social gatherings and holiday parties. The multi-purpose indoor facility includes Wi-Fi, dimmable lighting, catering kitchen, restrooms, banquet tables and chairs for up to 100. The facility is heated and equipped with fans for summer use. Lawns allow for additional capacity. For more information and rental details, contact the Parks and Recreation office at 757-7375. COMMUNITY GARDEN The community garden, a working model of suburban agriculture, is a central feature of the Farm Park. The Germantown Community Garden Association is seeking members for the upcoming growing season. Individuals and families interested in gardening, access to healthy food and community service and stewardship are invited to participate. Returning members, experienced gardeners and newcomers are welcome. Applications are accepted until capacity is reached. For more information, contact Jef Terry at 574-0067 or JTerry@Germantown-TN.gov. FARM PARK 4-H CLUB Bobby Lanier Farm Park, 2660 Cross Country Drive The Farm Park 4-H Club is a youth development program that offers educational services and family-friendly activities that encourage character development and excellence. Students may also choose to join a range of special interest projects including citizenship, clothing and textiles, companion animals, computers and technology, electric, food science, forestry, horse, poultry and veterinary science. THe Farm Park 4-H Club is open to students in grades 4 through 12. For students grades K through 3, the Farm Park 4-H Club offers a “Cloverbuds” program. Cloverbuds have their own activities that are appropriate for their grade level. Club meetings are held monthly and special projects meet as needed. For more information contact, Joni Roberts at 498-8684 or JRoberts@Germantown-TN.gov. FARM PARK FARMERS MARKET Thursdays, June 13 to August 30 (Closed on July 4), 4 to 7:30 p.m. (Rain or shine) C.O. Franklin Park, 7725 Poplar Pike For details, see page 22. FREE COMMUNITY GARDEN WORKSHOPS Hypertufa and You Saturday, May 4, 10 a.m. Bobby Lanier Farm Park Garage, 2660 Cross Country Drive If you have always enjoyed playing in the mud, then come out and make some unique hypertufa containers for your garden. Bring a form that can be used to shape your item, such as a plastic bowl or large leaf supported and stable. Be surprised at what you can make with hypertufa. For more information, contact Jef Terry at 574-0067 or JTerry@Germantown-TN.gov. Chickens, Oh Yes! Saturday, June 1, 10 a.m. Bobby Lanier Farm Park, 2660 Cross Country Drive Have you considered raising chickens in your backyard? Well, why not! Come and learn about this fun family activity from our Germantown Farm Park Operations Manager Jef Terry. Learn about what a healthy small flock needs in order to supply you with fresh eggs. For more information, contact Jef Terry at 574-0067 or JTerry@Germantown-TN.gov. Summer Celebration Lawn and Garden Show Thursday, July 11, 9 a.m. Meet at Cloyes soccer fields, 2660 Cross Country Drive Members and others can carpool and caravan to Jackson, TN for this annual event. Listen to experts and bring home some choice plants. For more information, contact Jef Terry at 574-0067 or JTerry@Germantown-TN.gov. Health is Wealth Series Saturdays, 10 a.m. Bobby Lanier Farm Park, 2660 Cross Country Drive Fee: $10 per session or $50 for the entire series, pre-registration is required Say no to sugar May 4	May 18	Probiotics 101 June 8	Good fats/bad fats June 15	Good Carbs/Bad Carbs July 6	What’s in a health coach’s fridge? July 20	Know your vitamin D level August 3	Healthy nutrition on the road August 17	Intermittent fasting August 31	Supplements 101 September 14	Coffee or Tea Join Certified Health Coach Nancy Milligan Fain to learn everyday healthy living tips. For more information, contact Joni Roberts at 498-8684 or JRoberts@Germantown-TN.gov. steps to brining and smoking that perfect turkey and how to grill competition wings. Everyone has a blast, learns a lot and leaves with a full belly. For more information, contact Joni Roberts at 498-8684 or JRoberts@Germantown-TN.gov. Service You Deserve. Someone You Trust. official technical director together with UEFA coaches will supervise all camp sessions to ensure the same level of quality, professionalism and authenticity that is received in Barcelona. Several players from each FCB Camp will be selected to train In Barcelona at the exclusive FC Barcelona Academy Headquarters and have a chance to get selected to play and compete in European Tournaments such as the MIC and Donosti Cup with campers from all over the U.S.. FC Barcelona Camps are based on the Barça methodology which includes a creative and attacking brand of football and the promotion of positive values such as respect, effort, ambition, teamwork and humility. Campers learn advanced concepts of play such as team ball control, finding a better positioned teammate, off the ball movement and space creation. Register online at Camps.FCBarcelona.US. GERMANTOWN CROQUET CLUB For a modest fee, enjoy competitive play with other adult croquet enthusiasts. Club benefits include weekly scheduled play time, use of croquet equipment, instruction and club socials. The club’s plays year round on Tuesdays, Thursdays and Saturdays. For more information, contact the Parks and Recreation office at 757-7375. GERMANTOWN FOOTBALL LEAGUE GFL is a community-based, volunteer organization which has partnered with the City of Germantown to provide recreational youth flag and tackle football as well as cheerleading for children ages 5 to 12. GFL offers a unique, family-friendly game day atmosphere you won’t find anywhere else. Teaching safe techniques and solid fundamentals are our top priority. We listened to our community and are excited to announce an older flag division for 2019! Cheer and football registration begins April 1 NEW! Flag football divisions now for ages 5 to 8, tackle divisions for ages 7 to 12 and cheer for ages 5 to 12 Each GFL participant receives an on-demand video subscription to their football and cheer game videos Free 3-month installment pay plan to keep your costs low all summer long Follow events including coaching clinic, tackling clinics and preseason evaluation at gflfootball.com and on Facebook HOUSTON LACROSSE The Houston Lacrosse Club provides lacrosse for boys, grades 1 to 12 and girls, grades 5 to 12, at all skill levels. The club is committed to encouraging sportsmanship and fair play while emphasizing the importance of teamwork. For more information, visit HoustonLax.net. LEGENDS RECREATIONAL SOCCER The Legends program provides a comprehensive recreational soccer program for boys and girls ages 5 to 19. The Legends philosophy is rooted in individual skill and confidence development. Competitive coaches provide skills training on a weekly basis to complement the player's training and playing schedule. Fall practices begin in late August with the season kicking off in September. For more information or to register, visit GermantownLegendsSoccer.com, or contact Chris Bartels at MemphisHFL@HappySoccerFeet.com. REACH This program combines recreation, education, arts, community and health activity opportunities. REACH will be offered on all full days of school adhering to the Germantown Municipal School District calendar. Children must be in kindergarten to be eligible for enrollment. Advanced payment and registration is required. Monthly payments must be received on or before the first of each month. Fees will be prorated for months with extended breaks. Daily payments must be received prior to the child attending REACH. Payments must be made online at Germantown-TN.gov/ Registration. Discounts are provided for City of Germantown and Germantown Municipal School District employees, families that participate in the Free or Reduced Lunch Program and those with multiple children. For more information, contact Veda Sargent at 757-7389 or VSargent@Germantown-TN.gov. REACH BEFORE AND AFTER SCHOOL PROGRAM Registration for the 2019 to 2020 school year opens July 1. New Building Opening & Dedication Sunday, August 4 Details to come. Your stuff builds homes. Donate your used furniture, appliances and other home goods. Is your stuff too big to fit in your car? Call 901-737-8673 or go to memphisrestore.com to schedule a FREE pickup of your donation! Session 3	July 8 to July 19 Session 4	July 22 to August 2 Experience the revival of the old days of summer camp. From days in the park to days at the pool, our redesigned camp embarks on a summer-long adventure of classic games with a modern twist. Enjoy fun-filled days packed with outdoor activities, field trips, games, crafts and swimming. Activities include GaGa ball, knot tying, fire building, street hockey, nine square in the air and much much more. Registration is filled on a first-come, firstserved basis. Registration fees include field trips, a daily snack and Friday lunches. Campers must provide their own bag lunches Monday through Thursday. Register online at Germantown-TN. gov/Registration. For more information, contact Michelle Forbert at MForbert@Germantown-TN.gov or 751-7638. Farm Park Gardening Camp Monday to Friday, June 3 to June 7, 9 a.m. to noon Bobby Lanier Farm Park, 2660 Cross Country Drive Ages: 6 to 12 years (children must be 6 years old by June 1 to enroll) Fee: $85 per child, $15 discount each additional child per family Registration fees include gardening gloves, journal and a daily snack. Campers will enjoy the outdoors while learning how to grow vegetables. Lessons on soil, seeds, plant companions, pollinators, friendly insect garden helpers, organic methods and hands-on activities will leave the campers with valuable information and memories for years to come. ENVIRONMENTAL EDUCATION Backpacking Trip at Mousetail Landing State Park Saturday and Sunday, May 18 and 19 Saturday and Sunday, October 19 and 20 Cost: $50 per person (includes transportation) Ready to take the next step in your backpacking adventures, meet new people and tackle the rugged backcountry as part of a group? Join Germantown Parks and Rec staff for an adventurous trip along the eight-mile Eagle Point Loop trail at Mousetail Landing State Park in Perry County, TN. Weâ&#x20AC;&#x2122;ll gaze across the Tennessee River from fossil-encrusted clifftops, meander through ancient cedar glades and slip quietly through long-abandoned homesteads, where early families carved their history into the land itself. This hike will be in very rugged terrain with no cell phone service. This trip is intended for experienced novice to intermediate-level overnight backpackers. Registrants must attend a backpacking gear prep meeting prior to the scheduled trip. Neither food nor equipment will be provided. Register online at Germantown-TN.gov/Registration. National Trails Day Hike Saturday, June 1 9:30 to 11 a.m. Riverwoods State Natural Area Wolf River Boulevard at Kimbrough Road Ages: 5 years and up Join Ranger Keith for an adventurous nature hike to celebrate National Trails Day. Meet in the Wolf River Nature Area parking lot and begin on the Wolf River Greenway to access Riverwoods State Natural Area. Learn about the plants and animals that call Riverwoods home, how we can enjoy observing them and what we can do to ensure their preservation for future generations. This hike will begin on pavement, but will mostly involve walking through woodland area on naturalized trail. Sturdy shoes, drinking water and bug spray are recommended. For more information, contact Natural Resources Manager Keith Paluso at KPaluso@ Germantown-TN.gov or 751-7639. Youth Spring Fishing Clinic Saturday June 8, 9 to 11 a.m. Pavilion at Johnson Road Park, 2970 Johnson Road Ages: 7 to 12 years Join the Park Rangers to meet in nature and learn about fishing. Topics for discussion will be; safety, knot tying, baits, types of equipment and casting. Fishing for bluegills and bass will take place at the ponds. It is recommended that participants bring a rod and reel, a hat, sunscreen, sunglasses and drinking water. Equipment may be provided if the child does not have fishing gear. Hosted by Jack Betchick. For details or to register, contact the Parks and Recreation office at 757-7375. Frog Watch Night Hike Friday, May 31 8:30 to 9:30 p.m. Friday, June 21 8:30 to 9:30 p.m. Friday, July 19 8:30 to 9:30 p.m. Wolf River Nature Area - YEP Pond Parking Lot, 7014 Wolf River Blvd Ages: 5 years and up Do you know all the types of owls that live along the Wolf River? Have you learned the calls of the frogs that live in our area? Come on a midsummer night hike with Ranger Keith, Natural Resource Manager and learn all about the special nighttime animals that share the Wolf River Natural Area with us. This hike will be on paved greenway trail. Sturdy shoes, drinking water, a flashlight or headlamp and bug spray are recommended. For more information, contact Natural Resources Manager Keith Paluso at KPaluso@Germantown-TN.gov or 751-7639. Morning Bird Walk Saturday, June 22, 8 to 9:30 a.m. Saturday, July 20, 8 to 9:30 a.m. Wolf River Nature Area - YEP Pond Parking Lot, 7014 Wolf River Boulevard Ages: 13 years and up Want to learn about the birds that spend the summer here in Germantown? Join Ranger Keith for a morning birding walk along the Wolf River Greenway. Sturdy shoes, drinking water, binoculars and bug spray are recommended. For more information, contact Natural Resources Manager Keith Paluso at KPaluso@ Germantown-TN.gov or 751-7639. Rangersâ&#x20AC;&#x2122; Most Wanted: Invasive Species Roundup Saturday, June 22, 10 a.m. to noon Oaklawn Garden Arboretum, 7831 Poplar Pike Ages: 13 years and up recommended How do invasive plant species affect our natural areas? What can we do about it? Join the Germantown Park Rangers for a volunteer day learning about these plants and removing some of them from Oaklawn Garden Arboretum. Work gloves, loppers, sturdy work clothes and shoes, water and snacks and bug spray recommended. For more information, contact Natural Resources Manager Keith Paluso at KPaluso@Germantown-TN.gov or 751-7639. ©2019 GERMANTOWN AREA CH AMBER OF COMMERCE. ALL RIGHTS RESERVED. Junior Ranger Day Saturday, July 27, 9 a.m. to noon Bobby Lanier Farm Park, 2730 Cross Country Drive Ages: 8 to 13 years Did you know that World Ranger Day is July 31 every year? Get ready for a day of remembrance for the brave people that protect the most treasured places in the world and join Park Ranger Keith Paluso to become a Germantown Junior Ranger! Meet at the Bobby Lanier Farm Park for a day of activities learning all about plants and animals, natural resource management, first aid and emergency preparedness, then receive a Junior Ranger badge and become an official Germantown Junior Ranger. For more information, contact Natural Resources Manager Keith Paluso at KPaluso@Germantown-TN.gov or 751-7639. Run With a Ranger Begins August 19 Continues on Mondays, Wednesdays and Fridays at 7 a.m. Wolf River Nature Area, 8040 Wolf River Boulevard Ages: 13 years and up Want to start running and/or exercising, but donâ&#x20AC;&#x2122;t have any running buddies? Germantown Park Rangers are here to help! Join us on the Wolf River Greenway to get motivated and moving. For beginners, we will be using a program similar to Couch to 5K. Already a blazing-fast runner? Come for some fellowship and meet new people in your community in a beautiful, natural setting. Walkers and strollers are welcome. For more information, contact Natural Resources Manager Keith Paluso at KPaluso@ Germantown-TN.gov or 751-7639. GERMANTOWN COMMUNITY LIBRARY GENERAL INFORMATION Germantown Community Library, 1925 Exeter Road, has more than 139,000 print, audio, video and online materials. For information call 757-READ (7323) or visit Germantownlibrary.org. Like us on Facebook at Facebook.com/ GermantownCommunityLibrary. Hours: Monday to Thursday, 9:30 a.m. to 9 p.m., Friday and Saturday, 9:30 a.m. to 6 p.m. and Sunday, 1 to 6 p.m. The library will be closed May 27 and July 4. GERMANTOWN COMMUNITY LIBRARY CARDS A library card is required to check out materials from Germantown Community Library. The card is available at no charge to Germantown residents, students and staff of Germantown K-12 public and private schools, students and staff of Union University Germantown Campus, Memphis School of Preaching, Germantown business owners and family members, active military personnel and their families and full-time and part-time City of Germantown employees. All others pay $50 for a yearly membership card. Volunteer Germantown is your onestop shop for meaningful volunteer opportunities in Germantown and throughout the greater Memphis area. Through a partnership with Volunteer Odyssey, the City of Germantown is working to connect volunteers to their ideal volunteer experiences. Our work helps encourage a culture of kindness in Germantown. How-To Festival Saturday, May 18, 1 to 4 p.m. Do-It-Yourself enthusiasts of all ages are invited to a free afternoon of discovery and fun. Learn from experts hosting demonstrations in dozens of topics, from beekeeping to bookmaking, woodworking and more. Select presenters will have handmade goods available for attendees to purchase. “A Universe of Stories” Summer Reading Kickoff Saturday, June 1, 11 a.m. to 1 p.m. Come and help us officially kick off “A Universe of Stories,” the Germantown Community Library’s 2019 Summer Reading program. Kids, teens and adults are encouraged to sign up for summer reading and enjoy stories, crafts, photo booth and more. Refreshments will be served. All Ages Summer Reading: “A Universe of Stories” June 1 to July 31 Readers and pre-readers of all ages are invited to sign up for this free, self-paced reading program where prizes are earned. Participants will receive summer reading logs to keep track of their progress toward earning prizes, including a special t-shirt and more. The summer reading log MUST be presented to redeem prizes. Register June 1 to July 31 in the Youth Services Department for ages up to 17 years, or at the Information Desk for adults. A library card is not required for participation. The last day to receive prizes is Saturday, August 10. Open Craft Tables Local Hero Letters All day drop-in, June 17 to June 20	Tuesday, July 23, 5:15 to 6:30 p.m.	Space Pendants All ages are welcome to drop in during our Open Craft tables. From June 17 to 20, stop by to write or draw a “thank you” card for Germantown Police and Fire Departments in the center of the library. On July 23, drop in to create an out-of-this-world pendant for use on a necklace or keychain, while supplies last. Summer of Sci-Fi Double Features Saturday, June 15, 1 p.m. and 3:15 p.m. Sci-Fi Comedy Duo Saturday, June 29, 1 p.m. and 3:15 p.m. 80s VHS B-Movie Mania Saturday, July 13, 1 p.m. and 3:15 p.m. Fantastic 50s Saturday, July 27, 1 p.m. and 3:15 p.m. 21st Century Special Join us for a series of favorite sci-fi double features. Snacks and drinks provided. Pre-registration is required and begins three weeks before each double feature. Call 757-7323 for titles, ratings and to register. “A Universe of Stories” End of Summer Reading Party Saturday, July 27, 11 a.m. to 1 p.m. Help us wind down the summer with our end of “A Universe of Stories” party. Join us for an afternoon filled with games, crafts and more. Refreshments will be served. Elvis Week Luau Saturday, August 10, 2:30 to 4 p.m. Get “all shook up” with an Elvis-themed luau party to celebrate the end of summer and Elvis Week. Enjoy music, games, photo booth, Graceland-inspired hors d’oeuvres and more. 750 acres of cloud-gazing, trailblazing, freeze-tagging, zigzagging, garden-growing, horseshowing, disc-golfing, soft-balling, puddle-jumping, chest-bumping, Green-waying, weenie-racing, Germantown-festing, nature-questing fun. 29 city parks. One within a half mile of every neighborhood. Find your fun at Germantown-TN.gov/Parks. ÂŠ2018 The City of Germantown. about plants that do well in Memphis in each of the seasons, including those that bloom in the more challenging winter and fall months. Instruction is provided by Master Gardener Tom Rieman. Pre-registration is required and begins April 22. Dark Oak Press Writing Workshops Setting the Scene Tuesday, May 16, 7 p.m. Thursday, June 20, 7 p.m. What’s Your Accent? Gain insightful writing advice during these programs featuring a panel of Dark Oak Press authors and guests. Pre-registration is required and begins three weeks before each program date. Back Pain and Sciatica Workshop Tuesday, May 21, 6:30 p.m. Attend this event to learn about the most common causes of back pain, prevalent myths and the McKenzie Method of Mechanical Diagnosis and Therapy. Presented by Jason Ward MPT, Certified MDT, a physical therapist who has worked in the field of spine and extremity care for over 18 years. Pre-registration is required and begins April 30. Computer Classes Beginning 3D Modeling in Monday, June 3, 6:30 p.m. Tinkercad Facebook 101 Tuesday, June 11, 12:30 p.m. Tuesday, June 11, 6:30 p.m. Building a Wix Website Tuesday, June 25, 12:30 p.m. Word for Beginners Excel Basics Level 1 Tuesday, June 25, 6:30 p.m. Monday, July 30, 12:30 p.m. PowerPoint for Beginners Excel Basics Level 2 Monday, July 30, 6:30 p.m. Tuesday, August 6, 12:30 p.m. PowerPoint Tuesday, August 6, 6:30 p.m. Selling Online Experience using a keyboard and mouse is required for all sessions. Experience browsing the internet is required for Tinkercad, Facebook, Selling Online and Wix. Pre-registration is required and begins three weeks before each program date. The Dark Side of the Universe Tuesday, June 4, 6:30 p.m. Most of the matter in our Universe is a mysterious “dark matter” that doesn’t shine or interact with atoms. The bulk of the rest is “dark energy” that is tearing the universe apart! Join Jeremy Veldman from the Memphis Astronomical Society for a journey to the Dark Side of the Universe. Pre-registration is required and begins May 14. Book Swap Saturdays, June 8 and August 10, 10:30 a.m. Adults are invited to drop in during our book swaps, where you can meet fellow book lovers to trade gently loved books and reading recommendations. Bring between one and ten books in good condition to potentially swap with fellow attendees. Pre-registration is required and begins three weeks before each program date. 745s Craft Club Fridays, 10:30 a.m. June 14 Constellation Wall Art July 12 Solar System Necklaces August 9 Recycled Book Art Journals Join us for a series just for adults, designed to inspire the creative spirit. A new craft is featured each month. Pre-registration is required and begins three weeks before each program date. Mter Grace\llnA, OllA kept ,a�in�. "Than\t.�ou. Thlln\t.�ouver�"'uch." Ready to make some memories of your o&Jn? Come to Germantown, where big-city soul meets sweet Southern charm. GermantownChamber.com/visit-germantown I 901.751.1200 © EPE. Graceland and its marks are trademarks of EPE. All Rights Reserved. Elvis Presley'"© 2018 ABG EPE IP LLC. Night Blooming Flowers Monday, June 17, 6:30 p.m. Join Master Gardener Therese Mangold for a presentation discussing the characteristics and advantages of night blooming flowers and their differences. Attendees will also learn about night bloomers suitable for the Mid-South. Pre-registration is required and begins May 28. Adult 3D Printing Workshop Mondays, July 1 and August 5, 6:30 p.m. Join us for a self-guided workshop to create or download models for 3D printing. Staff will be on hand for light assistance. Models must be reviewed and approved during a scheduled session before printing. Pre-registration is required and begins three weeks before each program date. Apollo Memories: A Flight Controller’s Story Tuesday, June 18, 6:30 p.m. Bill Weppner, former NASA Flight Controller, was in the control room the day Neil Armstrong and Buzz Aldrin took their “one giant leap for mankind,” during the infamous Apollo 8 mission when mankind left low Earth orbit for the first time and for the “successful failure” of the Apollo 13 mission. Join us as he shares his recollections of his time in flight control and reflections on the space program during this special program in honor of the 50th anniversary of the Apollo Moon Landings. Pre-registration is required and begins May 28. One-on-One Tech Time Tuesday, July 2, 10 a.m. to 3 p.m. Sign up for a 40-minute session with library staff for help on any of the following topics for beginners: browsing the internet, using email, computer basics (inquire), PowerPoint, Word, Pinterest, Facebook, downloading eBooks and eAudiobooks and using your smartphone (inquire). Space is limited. Pre-registration is required and begins June 11. Cosmic Conundrums: Black Holes are Bright Monday, June 24, 6:30 p.m. Paradoxically, so-called black holes are some of the brightest objects in the universe. They lie at the centers of most galaxies, sometimes hidden and sometimes blazing across the cosmos. Astrophysicists continue to learn surprising things about these strange objects. Presented by David S. N. Rupke, Ph.D., Associate Professor of Physics at Rhodes College. Pre-registration is required and begins June 3. Southern Gardening: Queen Bees and Wannabees Monday, July 15, 6:30 p.m. Learn about life inside the hive, how to be sure you are buying authentic local honey and what to plant to attract pollinators to your garden during this program led by Master Gardener Michelle Short. Pre-registration is required and begins June 24. Southern Gardening: 9 Rules for a Mixed and Blended Garden Monday, August 12, 6:30 p.m. Check these nine rules for a mixed and blended garden and compare them against your garden to get some great ideas for improving the overall look, dressing up a particular area, using your own unique creative style and pulling it all together. Presented by Master Gardener Jean Ward-Jones. Pre-registration is required and begins July 22. Resume Rescue Monday, August 19 and Tuesday, August 20, 10 a.m. to 12:15 p.m. Sign up for a free 30-minute one-on-one resume review session with retired career counselor Barbara Hermann. Participants are asked to bring a clean, printed copy of their resume and a notepad and pen. Pre-registration is required and begins July 29. Whole Foods Story Time Fridays, 10 a.m. No storytime May 17, 24 and 31, July 5, August 2, 9 and 16 Germantown Whole Foods, 7825 Poplar Avenue Ages: 1 to 5 years, accompanied by an adult The library and Whole Foods invite you to storytime at Whole Foods Germantown. Enjoy stories, fun, interactive songs, crafts and tasty snacks provided by Whole Foods. PROGRAMS FOR CHILDREN Pre-registration is not required for children’s programs unless otherwise stated. For more information or to register for a program, call 757-7323. Book Babies Mondays and Thursdays, 10 a.m. No storytime May 13, 16, 20, 23, 27 and 30, July 4 and 29, August 5, 8, 12 and 15 Ages: 0 to 12 months, accompanied by an adult It’s baby’s first storytime experience. With lots of songs, rhymes and cuddles, caregiver and child will establish a strong foundation for future literacy and a lifetime of learning. Wonderful Ones Mondays and Thursdays, 11 a.m. No storytime May 13, 16, 20, 23, 27 and 30, July 4 and 29, August 5, 8, 12 and 15 Ages: 12 to 24 months, accompanied by an adult An energetic storytime to match the energy of beginning walkers. Caregiver and child participate in active songs, whole body movements and stories to continue exposure to literature and language. Terrific 2s & 3s Tuesdays and Wednesdays, 10 a.m. No storytime May 14, 15, 21, 22, 28 and 29, July 30 and 31, August 6, 7, 13 and 14 Ages: 2 to 3 years, accompanied by an adult A lively mix of songs, finger-plays and stories encourage boisterous toddlers in their growing love of books. Fantastic 4s & 5s Tuesdays and Wednesdays, 11 a.m. No storytime May 14, 15, 21, 22, 28 and 29, July 30 and 31, August 6, 7, 13 and 14 Ages: 4 to 5 years, accompanied by an adult With music, stories and fun, this storytime helps to strengthen children’s pre-literacy skills and to prepare them for a bright future of reading. Saturday Stories Saturdays, 10 a.m. No storytime May 11, 18 and 25, June 1, July 27, August 3, 10 and 17 Ages: All, accompanied by an adult Start the weekend off right with storytime. With music, stories and fun, this storytime prepares children of all ages with the skills and foundations of literacy and a lifetime of learning. May the 4th Party Saturday, May 4, 2 p.m. Ages: All Dress up as your favorite character from Star Wars and enjoy this special day! A fun and exciting afternoon awaits with a storytime, crafts and snacks, all with a special Star Wars theme. Bring a friend or bring the whole family. Friday Frenzy Fridays, June 14 and July 19, 4:30 p.m. Ages: 5 to 10 years Kids can join the library for a fun filled afternoon of arts and crafts. Put your creative side to use and artistically express yourself by creating something cool to take home. Registration is required. Wild Wednesday Wednesday, June 19 and July 24, 4:30 p.m. Ages: 5 to 10 years Fun filled, hands-on activities covering a variety of topics. Participants will find opportunities to exercise their STREAM skills, learn basic home economics practices and have fun literacy experiences. Registration is required. Children’s Matinee Movie Saturdays, June 8 and July 6, 3:30 p.m. Ages: 3 to 12 years Gather at the library for a fun afternoon with a movie and free refreshments. Registration is required. LEGO Club Saturday, June 15 and July 13 Ages: 5 to 12 years Do you like building with LEGOs? Join our LEGO club meetings and participate in themed build events. Participants will build vehicles, buildings and more during this hour-long program. Registration is required. Tommy Terrific’s Wacky Magic Tuesday, June 11, 4:30 p.m. Ages: 5 to 12 years Join Tommy Terrific for a fun-filled show. Mr. Bond and the Science Guys Present “Space!” Tuesday, June 25, 4:30 p.m. Ages: 5 to 12 years Learn with Mr. Bond how science is building a better world. Join us for this fun, interactive and educational science show. N.H.E.C.M. Tuesday, July 16, 4:30 p.m. Ages: 5 to 12 years Learn about N.H.E.C.M.’s animals during a special presentation. Mr. Magic Nick presents “Blast Off With Books” Thursday, July 25, 4:30 p.m. Ages: 5 to 12 years Have a fun and amazing time with Mr. Magic Nick! “Blast Off With Books” will feature Chula the Chihuahua, fun and amazing magic, space jokes and facts and storytelling. PROGRAMS FOR TWEENS AND TEENS Pre-registration is not required for tween programs unless otherwise stated. For more information or to register for a program, call 757-7323. Magic Mr. Nick for Special Populations Thursday, July 25, 7 p.m. Ages: All “Blast Off With Books” will feature Chula the Chihuahua, fun and amazing magic, space jokes and facts and storytelling. Tween Time Thursday, June 6 and July 11, 4:30 p.m. Ages: 9 to 12 years Participate in games, crafts and other activities based on popular books. Bring a friend and join the fun. Pre-registration is required. The Germantown Regional History and Genealogy Center, at 7779 Poplar Pike, serves as a repository and research center for materials related to history and genealogy. The GRHGC has more than 15,000 reference materials in its collection. Materials are available for the United States and some European countries. The Tennessee Genealogical Society is also located in the Center. Information about the Society is available at tngs.org. Tween Craft Club Sunday, June 23 and July 28 Ages: 9 to 12 years Be inspired and entertained by designing your own art at our open craft table. Pre-registration is required. Hours: Mondays, 10 a.m. to 2 p.m., Tuesdays and Thursdays, 10 a.m. to 4 p.m., Saturdays, 9 a.m. to 5 p.m. and Sundays, 1 p.m. to 4 p.m.
Painting and Pastries for Teens Mondays, June 24 and July 29, 6:30 p.m. Ages: 13 to 18 years Enjoy an hour of relaxation and creativity where you can indulge in coffee, pastries and painting with fellow teens each month. Supplies are provided. Pre-registration is required. PROGRAMS FOR SPECIAL POPULATIONS Special populations programs are designed for individuals with intellectual or physical disabilities and their families and caregivers. Pre-registration is not required unless otherwise noted. For more information or to register for a program, call 757-7323. Tommy Terrific for Special Populations Tuesday, June 11, 7 p.m. Ages: All Join Tommy Terrific for a wacky, educational magic show. Galaxy Dance for Special Populations Friday, June 14, 7 to 10 p.m. The Pickering Center, 7771 Poplar Pike Ages: 16 and up Have an out-of-this-world time during our space-themed summer dance. Pre-registration is required and begins May 24. The Center will be closed Sunday, May 12, for Mother’s Day; Sunday and Monday, May 26 and 27, for Memorial Day; Sunday, June 16, for Father’s Day; and Thursday, July 4, for Independence Day. Tennessee Genealogical Society programs are open to the public. There is a small charge to non-members for selected TGS programs. Programs are free to members of TGS, except the biannual seminars which are discounted. Pre-register for all programs at TNGS.org. Space may be limited. For more information, call 757-8480. Genealogy 101: Military Records Tuesday, May 14, 7 p.m. Join John Ware for this session in the Genealogy 101 Lecture Series, designed for those new to family research to learn insights and skill-building techniques. Free for Tennessee Genealogical Society members; $5 for non-members. Using Dropbox for Genealogy Saturday, May 18, 10:30 a.m. Join us as Sherri Onorati presents the ins and outs of the file hosting service Dropbox and how it can be used in genealogy and genealogical research. Free for Tennessee Genealogical Society members; $5 for non-members. Genealogy 101: Immigration and Naturalization Records Tuesday, May 21, 7 p.m. Join Tina Sansone for this session in the Genealogy 101 Lecture Series, designed for those new to family research to learn insights and skill-building techniques. Free for Tennessee Genealogical Society members; $5 for non-members. N.H.E.C.M. for Special Populations Tuesday, July 16, 7 p.m. Ages: All Learn about N.H.E.C.M.’s animals during a special presentation featuring live creatures. John Ware, with an additional presenter to be announced for the second hour. Free to everyone. State Archives Seminar Saturday, June 15, 8:30 a.m. to 5 p.m. The Pickering Center, 7771 Poplar Pike Fee: $20 for TNGS members, $30 for non-members The Tennessee Genealogical Society is hosting this event on the use of state archives. Representatives from the Tennessee, Mississippi and Arkansas Archives and/or Library will be presenting. Each state will present sessions on the basic functions, services and contents of their state archives. Additionally, they will have presentations on document preservation, identification, photo care and management and tracing your African-American ancestors. Turn Your Brick Wall into a Yellow Brick Road by Kim Richardson Thursday, June 27, 10:30 a.m. Fee: Free for TNGS members, $5 for non-members A “brick wall” is not the end of the line for research. Kim Richardson’s presentation will discuss the most common oversights in genealogy research and how to avoid being stuck, exploring ways to determine if more research can be done to solve your problem and analyzing the documents you have to make sure every lead is followed to the fullest. Introduction to Genealogy Software: Family Tree Maker and Roots Magic Saturday, June 29, 10 a.m. Fee: Free for TNGS members, $5 for non-members Not sure which genealogy software program to choose? The Tennessee Genealogical Society will be conducting an introduction to the four most popular programs. This session covers Family Tree Maker and Roots Magic. Introduction to Genealogy Software: Legacy Family Tree and Family Tree Builder Saturday, July 20, 2019, 10 a.m. Fee: Free for TNGS members, $5 for non-members Not sure which genealogy software program to choose? The Tennessee Genealogical Society will be conducting an introduction to the four most popular programs. This session covers Legacy Family Tree and Family Tree Builder. GERMANTOWN ATHLETIC CLUB The Germantown Athletic Club is located in the heart of Germantown neighboring the Germantown Performing Arts Center and Municipal Park. The Club’s variety of amenities and services attracts fitness enthusiasts of all types. Mix fitness with pleasure with group fitness classes, indoor and outdoor pools, the very latest in cardio and strength training equipment and so much more. Becoming a member at Germantown Athletic Club is making a commitment for a better you. We offer a variety of plans to meet your needs. Choose “membership” at GACfitness.org or call 757-7370 for more information. Hours: Monday to Thursday, 5 a.m. to 10 p.m., Friday, 5 a.m. to 9 p.m., Saturday, 7 a.m. to 9 p.m. and Sunday, 10 a.m. to 6 p.m. Learn more about the Club at GACfitness.org. We are @GermantownAthleticClub on Facebook, @GtownAC on Twitter and GtownAC on Instagram. CHILD CARE Germantown Athletic Club provides children of all ages a fun and healthy environment. We believe healthy lifestyles start early. Children are welcome in the Club’s Child Care area for up to two hours daily while parents exercise. A variety of activities are offered during Child Care visits such as Les Mills Born to Move® virtual fitness classes, arts and crafts, holiday parties and much more. Choose “kids” at GACfitness.org for more information. EVENTS Chill & Grill Saturday, May 18, 11 a.m. to 1 p.m. Fee: Free for members Kick the summer off with a cookout by the pool. Bring blankets, lawn chairs and an appetite for burgers and hot dogs. This event is free for Club members only. No R.S.V.P. is needed for the cookout. FITNESS Personal Training Fee: $30 to $90 per session, by appointment only Needing to get back on track or aiming to go to the next level? The Club’s certified personal trainers can help! Options include one-on-one, partner and small group training packages. Choose “fitness” at GACfitness.org to connect with a certified personal trainer. Group Fitness Classes Free to members, the Club offers over 100 classes weekly including Zumba®, Les Mills BODYPUMP™, BODYFLOW™ and Rp.m.™, yoga, pilates, water aerobics, strength, cycle and Silver Sneakers®. Classes are led by certified instructors. Les Mills™ Virtual classes are available to members when live classes are not in session. YOUTH ACTIVITIES Kids Night Out June 8 and July 13, 5:30 to 9 p.m. Fee: members $20, each additional sibling $10 Every kid deserves a special night out… and so do you! Kids Night Out is open to children ages 1 through 11 years old. Children will be divided by age groups. We provide dinner, crafts and other fun activities for your children while you get some pleasant time to yourself. Older children will also swim. For more information, contact the Youth Activities Department at 751-5710 or choose “kids” at GACfitness.org. Full Day Summer Camp Mondays through Fridays, May 27 to August 2, 7 a.m. to 6 p.m. Fee: members $140, non members $155 First grade through grade 6 participate in many activities including swimming, arts and crafts, fitness classes and much more! This program serves school-age children and is a great way to meet new friends and have fun in a safe, caring environment. Group swim lessons are also offered during camp hours for an additional fee. For more information, contact the Youth Activities Department at 751-5710 or choose “kids” at GACfitness.org. Bits, Bytes and Bots Summer Camps Mondays through Fridays, 9 a.m. to noon Fee: members $175, non members $190, After Care noon to 6 p.m., $50 Robots & Robots June 3 to 7	June 17 to 21	Video Game Design July 15 to 19	Lego Movie Magic For more information, contact the Youth Activities Department at 751-5710 or choose “kids” at GACfitness.org. BIRTHDAY PARTIES Celebrate your next birthday party at the outdoor pool, indoor pool or gym. Outdoor party packages start at $335 and include 90 minutes at the outdoor pool, birthday cake, ice cream and juice for 25. Indoor parties start at $225 and include 90 minutes in the indoor pool or gym and 30 minutes in the party room, birthday cake, ice cream and juice for 12. Fees apply for food add-ons and additional guests. Choose “kids” at GACfitness.org or contact 751-5711 to get your party started! AQUATICS The Club offers an indoor, eight-lane lap pool, hot tub, 25 meter outdoor pool and splash park. Dance the calories away in water aerobics or learn to swim! The outdoor pool is open Memorial Day through Labor Day. For more information, contact the Aquatics Department at 757-7366 or choose “aquatics” at GACfitness.org. Dive-In Movies Thursdays, July 11, 18, 25 and August 1 Club members enjoy a movie-going experience unlike any other! Children and parents are welcome to float in the pool or relax in a lounge chair while watching a family-friendly G or PG-rated movie under the stars. Movies begin at dusk every Thursday throughout July. There is no fee for this event. Group Youth Swim Lessons (Levels 1 through 6) Weekdays Mondays through Thursdays, May 28 to August 1 (eight 50-minute lessons) Fee: members $90, non-members $105 per session The pre­requisite for each level is successful demonstration of skills taught in the preceding level. There are no refunds or make-up days. For more information, contact the Aquatics Department at 757-7366 or choose “aquatics” at GACfitness.org. Session 1	May 28 through June 6 Session 2	June 10 through 20 Session 3	June 24 through July 5 Session 4	July 8 through 18 Session 5	July 22 through Aug 1 Levels 1, 2, 3 and 4: 9:45 a.m., 10:45 a.m., 11:45 a.m., 4:30 p.m., 5:30 p.m. and 6:30 p.m.; Levels 5 and 6: 11:45 a.m. and 6:30 p.m.
Group Youth Swim Lessons (Levels 1 through 6) Saturdays Saturdays, June 8 to July 27 (eight 50-minute lessons) Fee: members $90, non-members $105 per session Levels 1 and 2: 10:30 a.m. Levels 3, 4, 5 and 6: 11:30 a.m. Group Youth Swim Lessons (Level 7) Saturdays Saturdays at 11:30 a.m. (four 50-minute lessons) Fee: members $45, non-members $60 per session Session 1: June 8 through 29 Session 2: July 6 through 27 Baby & Me Group Swim Lessons Saturdays at 10 a.m. (four 50-minute lessons) Fee: members $60, nonmembers $75 per session Session 1: June 8 through 29 Session 2: July 6 through 27 Group Adult Swim Lessons (Levels 1 and 2) Sundays at 2 p.m. (four 50-minute lessons) Fee: members $45, non-members $60 per session Session 1: June 9 through 30 Session 2: July 7 through 28 Private Swim Lessons Fee: members $35, non-members $50 Prefer a more private setting? Develop a more efficient stroke, learn how to swim or improve timing in a one-on-one setting. Private lessons are available for adults and children. Choose “aquatics” at GACfitness.org to connect with a swim lesson instructor./ American Red Cross Lifeguard Training and Re-Certification Re-certification fee: members $75, non-members $90 Become a Certified American Red Cross Lifeguard. Prerequisites for the certification include swimming 300 yards consistently, retrieving a 10-pound brick and treading water for two minutes. All sessions must be attended. There are no refunds or make-up days. Re-certification classes will be offered on the last day of each session. For more information, contact the Aquatics Department at (901) 757-7366 or choose “aquatics” at GACfitness.org. Session 1	May 4, 5 and 6, 9 a.m. to 5 p.m. May 29, 30 and 31, 9 a.m. to 5 p.m. Session 2	Session 3	June 21, 22 and 23, 9 a.m. to 5 p.m. Session 4	August 2, 3 and 4, 9 a.m. to 5 p.m. Certification Fee: members $200, non-members $215 American Red Cross Lifeguard Instructor Course May 16, 17 and 18, 9 a.m. to 5 p.m. Fee: members $300, non-members $315 This course will certify participants as an instructor in American Red Cross Lifeguard Training, Shallow Water Lifeguard, First Aid, CPR/AED for Professional Rescuers and Oxygen. All sessions must be attended. For more information, contact the Aquatics Department at 757-7366 or choose “aquatics” at GACfitness.org. American Red Cross CPR, First Aid and AED Courses May 20, 4 to 9 p.m., June 17, 4 to 9 p.m. or July 13, 10 a.m. to 3 p.m. Fee: members $75, non-members $90 Be prepared for emergency situations through this two-year certification. Online and live training options are available. For more information, contact the Aquatics Department at 757-7366 or choose “aquatics” at GACfitness.org. Germantown Swim Team Germantown Athletic Club is the proud home of Germantown Swim Team. This competitive, year-round team is supported by volunteers. Through advancing the sport of swimming, recruiting new athletes to the sport and providing them with high-quality coaching, GST provides a safe, enjoyable and productive training atmosphere while encouraging competition at the highest possible level. Visit Germantown Gators Swim Team at gstswimming.com for more information or email info@gstswimming.com. THIS IS ME - Senior Conservatory July 8 through 12 Ages: 12 to 18 Fee: $200 Come be a part of this intensive musical theatre character study dedicated to helping students transform themselves into a favorite role through acting, singing and dancing. The conservatory will meet from 9 a.m. to 3 p.m. daily. Students must register for this event by June 14 to be included in the conservatory. GUYS AND DOLLS, Jr. Fridays, Saturdays and Sundays, August 1 through 18 One of Broadway’s most hilarious shows, Guys and Dolls has been described as the perfect musical comedy. It is primarily based on Damon Runyon’s short story “The Idyll of Miss Sarah Brown,” which describes the unlikely romance between a pure-atheart urban missionary and a slick Broadway gambler.